Hi, just curious if there are any Early Edition fans out there...besides me that is. I believe it falls into the Sci-Fi and Fantasy section since the show is about a man (Gary Hobson) who get's tomorrow's newspaper (The Chicago Sun-Times) today. He, ah, reads about the future so...yeah. Well, that and the fact that SyFy airs Early Edition marathons once in a while. I loved the show when it aired back in 1996-2000, really loved it...and I still do. 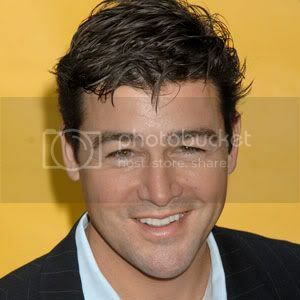 And Kyle Chandler is delicious! Dancing, singing, praising, and thanking! I didn't watch it when it came on originally because I didn't have TV then. But I watch it whenever it comes on SciFi. 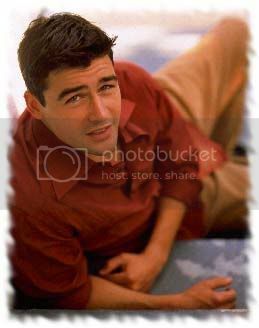 And yeah, Kyle Chandler is cute as a button! I remember this and i loved the show! It was awesome! Sipping tea in Digifluid's bed. Funny you should say that. there is actually a show out there that is almost a direct copy of this one, although i forgot the name of it now :/ I just remember watching that show one day, and going damn! it's a lot like Early Edition. I loved this show when it was on. Anyone remember the episode where the cat got in a fight with another cat, and the newspaper got shredded? That was a challenge for Gary! Early Edition is my second favorite TV show after SGA. It was aired late night in the country I live but I stayed up every time to watch it. 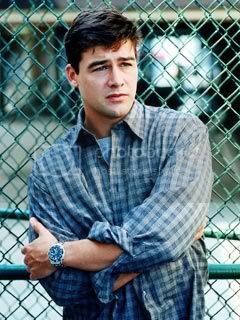 Loved the whole idea of it and loved how Kyle Chandler played the reluctant hero. It would be great if it would be released on DVD. It is on DVD, in Region 1 at least. Wow, I'm happy now. There are other folks here that like Early Edition. I only asked because I have been watching it online lately and was wanting to have somewhere to talk about it. @saberblade: I miss Chuck too! I liked it when he was on the show...hated it when he left for California. At least he was able to come back now and then. Heck, Fisher even directed an episode after he's left the show! ...Kyle directed an episode too, Occasionally Amber. And they both did a great job on their respective episodes. Chuck, the best thing about the show? No, not seeing it. One of the best things about the show certainly ...Kyle being the other. And I hated Erica...Henry was okay though. And a new version of the show where the Hero receives tomorrow's news via tweets or Facebook? ...Blasphemy! @AresLover452: It sure was (is)! Alan Wake: I don't think I've heard about this show of which you speak. Hmm, can't say as I do. Would like to see that one! ...only season's 1 and 2 so far. If my corner of the world depended on me via tweets or facebook, it would be very short and very ugly. I don't do either. So, now I'm curious. As I've only seen a couple of dozen eps, how many seasons were there? What all did I miss? There were four seasons. As for what you missed, well Gary ended up owning a bar, Chuck left and Gary seemed to have this thing for a new character they introduced, plus they gave that woman a kid so half the time Gary was doing something involving her or the kid (more than often, trying to keep the paper a secret). He also learnt a bit of stuff about the paper, but as I remember never learnt where it came from although I do believe in one episode he was judged whether or not he could keep it. Gary also met another man from New York who also had an Early Edition of the New York Times. I remember watching that. I really liked it, very nice easy to watch plus some great stories. I can't quite remember how many Seasons were shown here in the UK though..from what I remember it was given some shoddy treatment with the times it was shown. Oops, sorry. You're both right of course. I wanted to say that it'd be great if the whole series would be released on DVD and not only in region1. Unfortunately my DVD player can only handle region 2 DVDs and I couldn't order DVDs from the USA anyway. One of the things I remember really liking in this show was the monologue one of the main characters (mainly Gary) said in the beginning and sometimes in the end of each episodes. I missed them in the later seasons; they were not always there like in the start. The lush paradise of northern Ohio. I loved this show. I was really mad when I went to watch it and found out it had been replaced with The District (with Craig T Nelson). 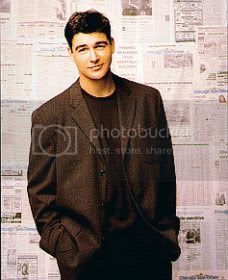 There were 4 seasons of Early Edition...from 1996 to 2000. Not enough if you ask me. Season 1: His (ex) wife Marcia, stupid woman, dumped Gary on there wedding anniversary, threw his clothes, in a suitcase, right out the window; nearly hitting him. He then moved into the Blackstone Hotel, room 67. Not long after he starts receiving the paper. And the cat (Panther). After finding out that the guy who runs the newspaper stand near his job was hit by a car and he felt bad for "missing it" in the paper thus influencing his decision to use the paper for good...saving people, being the reluctant hero as it were. "I guess I was just at the right place at the right time." He met veteran Police Detective Marion (Zeke) Crumb in the pilot and worked with him throughout the series. No matter how crazy Crumb thought Gary to be. He just didn't want to know how Gary knew what he knew. Season 2: It begins with only Gary's room in the whole hotel going up in flames, he woke up to late to prevent it. Meanwhile he helps the owner of McGinty's, McGinty himself, get his money and bar back from land developer Barney Kadison. Apparently McGinty signed a contract without looking at the fine print, his bar was going to be turned into a parking lot for some new building complex. GAry pulled it off, along with saving a foster home from being demolished by the same land developer. McGinty retires to New Mexico leaving the bar to Gary...and Chuck, sort of. Partners. Crumb was hired on as bartender at McGinty's during this season. Chuck left at the end of season 2. Season 3: They brought in Erica (Kristy Swanson) and her son, Henry (Myles Jeffery), for the third season. He told her about the paper but she didn't believe him, at first. They left at the end of that season, she was stupid enough to break up with Gary. That left Gary and Marissa to take care of the bar, McGinty's...along with Patrick Quinn (Billie Worely), the frat boy bartender who also joined the cast during this season. Gary had multiple run-ins with one Federal Marshal come Police Detective Antonia (Toni) Brigatti during this season. They briefly dated, or tried to, in season 4. Sadly it didn't work out for them. HE met Detective Paul Armstrong, after saving his pregnant wife from drowning, at the end of the season and continued to get in his way during season 4. Season 4: Gary and Marissa ran the bar sans Erica and all was well, with the bar. In the two part episode Fatal Edition Gary is found kneeling next to the dead body of a Sun-Times columnist Frank Scanlon who was investigating Gary's presence at various crime scenes. Gary was arrested and charged with murdering Scanlon, He was innocent but he had no proof, other than the paper. He escaped police custody and went on the run, hiding out. He appealed to Brigotti but she wouldn't help him. He prove his innocence on his own despite overwhelming odds and being framed. Gary continued to help Armstrong throughout the season, getting on his nerves more times than not. In the finale, Time, Gary learned how he was chosen to receive the paper. Click here to read episode recap. There's too much info for me to weed through and better detailed than my memory. The episode aired out of order...3rd to last instead of last. I decided to rewatch the show. Nearly forgot how much I loved it years ago. I watched 'The Choice' from Season1 today. It was my favorite episode, followed closely by 'Faith'. IMO Season 1 was the best. I'm going to have to add Early Edition to the rewatch list. I remember really enjoying it when it was on, even though I wasn't able to catch it very regularly. It was a good show, though I don't think I watched that much of seasons 3 and 4. I know that there are some of the episodes on YouTube, btw. I love The Choice! I watched Faith last night btw. Every episode is on megavideo via blinkx. That's where I watch it when I need my fix since I don't have the DVD's yet.